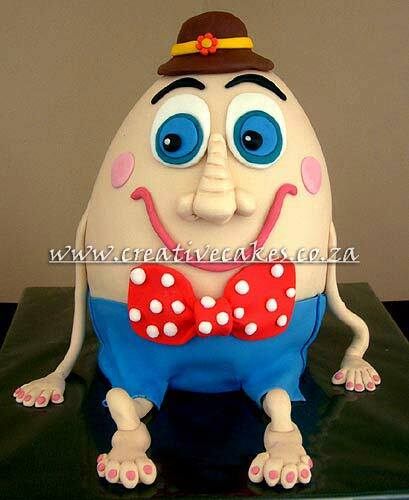 A character from a nursery rhyme is always a good choice of birthday cake for your really young children. When they start learning the rhymes at school or preschool they get excited about them. Find out what your child’s favourite nursery rhyme is. It is very easy to follow a certain theme throughout a party. I can help you with the edible accessories and of course, the cake. If you need any other party ideas I would be more than willing to help you out. I have dealt with the catering for so many parties so my ideas are endless.